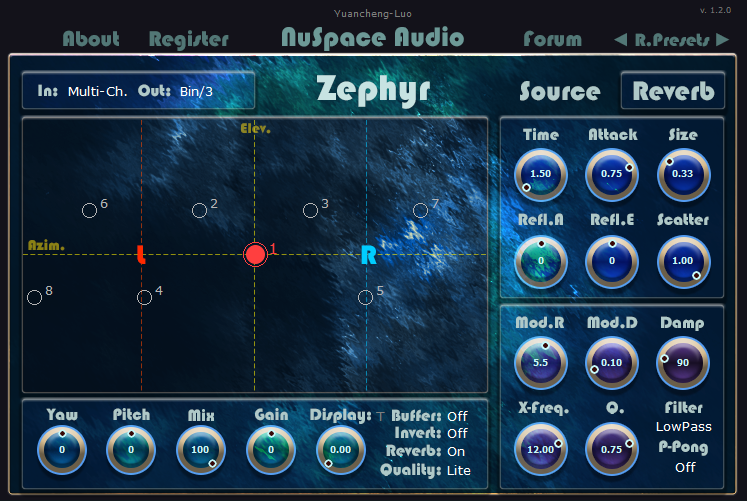 Maintenance update to the Zephyr plugin: Faster performance for all reverb quality modes Depth and delay control now change source indicator size Existing customers can download the latest version from the link in their receipt or alternatively from the Fastspring dashboard. 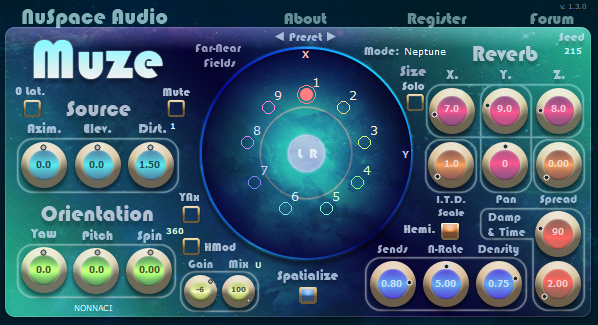 Added the 9th reverb mode (Neptune) to the Muze plugin. 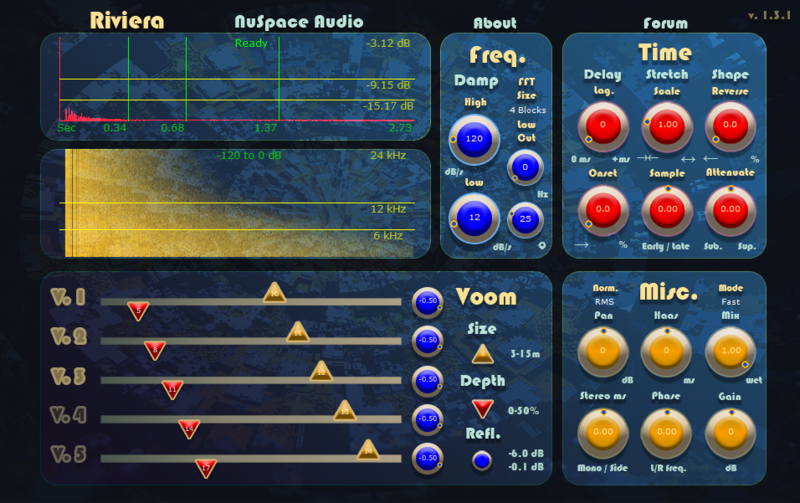 Features v.1.3.0: Early reflections for gated effects Density controls for occluded effects Added 20 more presets Features v.1.3.1: Faster plugin load and save times Existing customers can download the latest version from the link in their receipt or alternatively from the Fastspring dashboard. Updated the Zephyr plugin to v. 1.1.0 -Added 5.1 FILM and SMPTE channel order selections to speaker output configurations Existing customers can download the latest version from the link in their receipt or alternatively from the Fastspring dashboard. 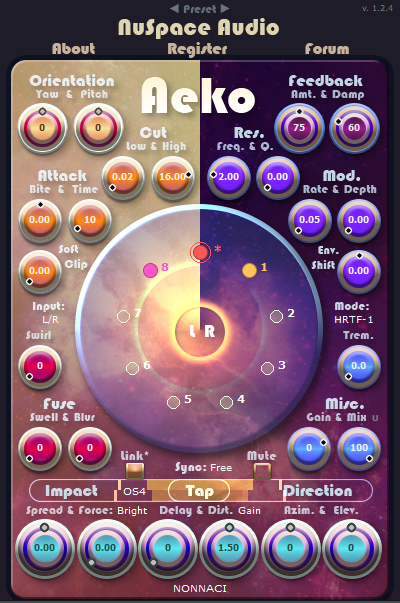 Beta testing our new 3rd order Ambisonics reverb plugin! Supports a host of formats from AmbiX inputs & multi-channel mono-source encoding to binaural & surround speaker-grid decoding.